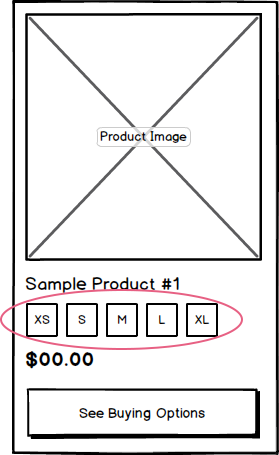 Size variations in the form of small squares, allowing users to see which sizes are available for the item. 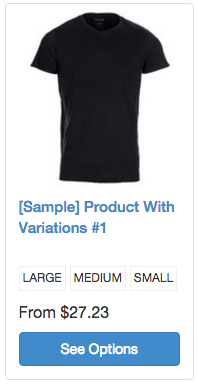 This code outputs the "Size" specific values for every child variation of the product. In order for the above to work, the specific name itself must be set to "Size".